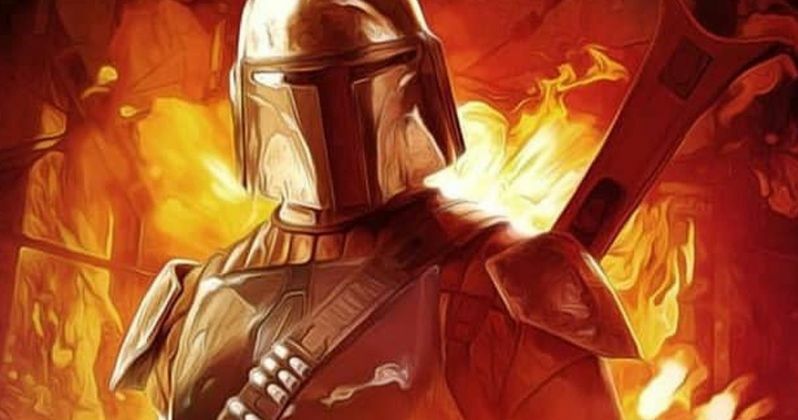 The Mandalorian Season 2 has already been reportedly ordered by Disney+. Season 1 hasn't even debuted yet and Star Wars fans haven't seen any official footage from the highly anticipated series at this time. However, that will more than likely change at this year's Star Wars Celebration in a few weeks. No release date has been announced, but it is believed the show will premiere on the new Disney streaming platform sometime this fall. Hopefully the Celebration festivities will provide the premiere date in addition to the first footage. According to sources close to Lucasfilm, The Mandalorian Season 2 is already being planned and ordered by Disney streaming. It's not that big of a surprise, especially considering the way that rival streamer Netflix has been working on their new shows. Umbrella Academy Season 2 was just officially announced, but it was in development well before the first season premiered on the streaming platform. Plus, this is the Star Wars franchise that we're talking about here. The series will probably be a hit amongst fans when it is finally released. One of the episodes of The Mandalorian was helmed by Thor: Ragnarok director Taika Waititi, who recently shed some light on what fans can expect with the new show. Waititi hinted the series will be closer in tone to the original Star Wars trilogy, which has even more fans excited to see it. With that being said, the director was able to throw some of his style into the project. He explains. Jon Favreau recently shared a picture of Taika Waititi recording his lines for the show. Waititi is playing IG-88 in The Mandalorian, a bounty hunter droid who shared his first appearance in The Empire Strikes Back with Boba Fett. However, the droid did not have any lines, which is why Waititi is probably allowed to do whatever he likes with the voice, much like he did with Korg in Thor: Ragnarok, who is a fan-favorite character. Production on The Mandalorian wrapped in February, so we should be able to see some footage at Star Wars celebration in Chicago. Disney and Lucasfilm are going all out on the series with an insane budget, which should put the series in a league of its own, even going further than Netflix originals and going up to bat against HBO's Game of Thrones, which is a lofty goal. Disney has their hands in a lot of different and brand-new areas, so it's going to be very interesting to see how everything pans out. The Mandalorian Season 2 news was first reported by HN Entertainment.